Retweeted 7,427 times with 20,070 likes, the tweet is often retweeted as a mocking response to other views aired on Twitter deemed to be overly centrist. There are countless other examples of anti-centrist sentiment all across the internet and beyond, often from staunch left-wing or right-wing personalities and social media pages. These memes, tweets and social media posts indicate that anti-centrism isn’t limited to the intellectual elite, but is rather a widespread sentiment. First, let me address the kernels of truth contained in these anti-centrist statements. 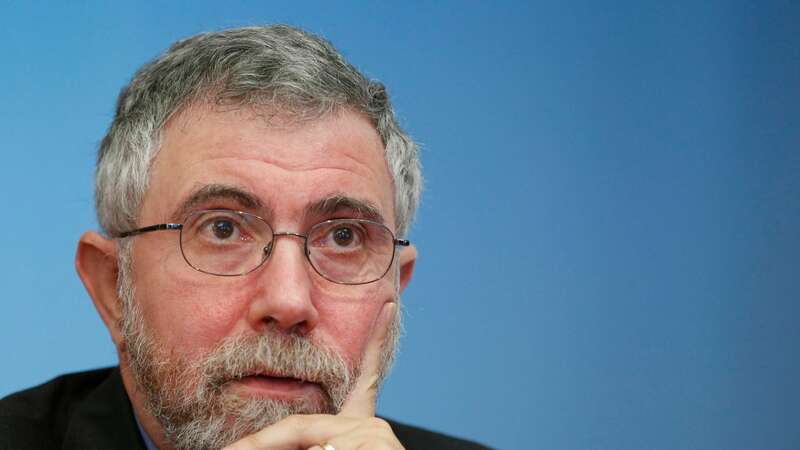 Centrism legitimately characterized by Krugman’s (albeit strawman) definition are unacceptable. It would be “witless” to argue that the existence of a growing community of “Flat Earthers” – who maintain that the earth is flat – necessitates a position on the shape of the earth that falls somewhere in between flat and globular. Moreover, defaulting to the center would be “unprincipled” for an American Northerner in 1861. The ethical emergency of slavery in the South precluded a moderate stance. The issue at hand required an immediate, drastic response, one that resulted in the most deadly war in America’s history. In such a historical moment, airing on the side of careful negotiation and measured condemnation would be impotent and immoral. However, most political issues we encounter cannot be expressed in terms of right versus wrong and true versus false. Many policies and institutions that “work” – policy decisions that have proven to be relatively effective and sustainable, that practically result in greater prosperity and happiness are, in fact, compromises. They emerge from a passionate discourse, one with proponents for either more or less or completely different versions of every working principle. Of course these “working” systems do not emerge at the *exact* center of political discourse, a proposition Krugman and Cook refer to as “triangulation.” However, it is safe to say that they are usually not the logical conclusions of ideologically pure and absolute principles; they inevitably contain some elements that most individuals and political parties find unacceptable. Pluralism, wherein diverse and seemingly contradictory perspectives are acknowledged and taken into account, does not make one unprincipled or witless. In fact, an intelligent and principled voter must understand the costs of an uncompromising ideological point of view. Consider the human project of economy. Western Capitalism functions through a careful balance between regulated free market forces and redistribution or regulation (social safety nets, subsidies, regulatory bodies like the SEC, etc.). Considering capitalist democracy’s compelling progress across the globe and the historical failure of alternative systems like Communism, it is safe to say that the Western model is currently our best option. Moreover, as Alice Rivlin (a “moderate Democrat) argues in In Defense of Centrists, moderate or bi-partisan economic policy intrinsically allows for stability and certainty – crucial components of a prosperous economy. While it is impossible to fully capture the nature of economy in a few sentences, the big picture does clearly suggest that, at the very least, economic policy has flourished not under revolutionary politics and ideological purity. It has flourished under a pragmatic incorporation of economic forces, values, and ethics; progress or change in this model has been achieved through a careful tweaking of that which already “works” rather than cataclysmic upheaval. Economic policy is but one success story of pluralist politics. Pluralism, wherein diverse and seemingly contradictory perspectives are acknowledged and taken into account, does not make one unprincipled or witless. In fact, an intelligent and principled voter must understand the costs of an uncompromising ideological point of view. Though political pluralism does not imply equally valid conclusions on both sides of a given issue, it demands a thorough examination of each side from the ground up. Take for example a hypothetical Democrat voter voting on a repeal of the second amendment. He is initially in favor of the proposal for the following reasons: studies suggests an epidemic of gun violence in the United States, other countries such as Australia appear to have effectively phased out guns, and the ease of access to firearms leads to horrific events like school shootings. To him, the Republican politicians opposed to the motion are characterized by either corruption by powerful gun lobbies, stubborn faith in outdated founding documents, or a perverse interest in preserving macho American gun culture. Before solidifying these conclusions (in the form of a vote), this Democrat should take a leap of faith and grant the opposition the benefit of the doubt. He must start at the core of the opposition’s political belief, considering each innermost principle in good faith. Though political pluralism does not imply equally valid conclusions on both sides of a given issue, it demands a thorough examination of each side from the ground up. A gun proponent may argue the following: citizens need a means for self-defense, particularly in dangerous neighborhoods; those who use firearms for unlawful purposes will simply turn to the black market in the event of a repeal; it is unwise to hand over all lethal force to the police and military; private gun ownership serves as an emergency measure in the event of a hostile government gone rogue; gun culture is largely positive and a treasured cornerstone of many communities; the second amendment is vital to the Founding Fathers’ vision of a nation founded on self-determination and freedom. For each of these points, our hypothetical Democrat should first ask himself, “is this sentiment flawed, self-contradictory or factually incorrect in principle?” If any point stands this test, the next step would be to ask “is it practically possible to incorporate this idea into policy? How do the potential negative consequences of such incorporation weigh against the positives?” If in this process of consideration all the strongest opposing claims turn up invalid, our Democrat can stand by his original conclusion in good faith. Otherwise, all remaining valid claims must be added to the decision making equation. I believe that thoroughly considering political issues with this methodology would bring us all a bit closer to the center. It would result in policy that better reflects the needs of all rather than those of the majority. Finally it would better utilize the collective knowledge and wisdom from diverse perspectives, leading to more effective decisions that benefit everyone.